Over the last two decades, Litewell Engineering Private Limited has become one of Singapore’s most reputable mechanical and electrical engineering companies. In 1994, we were converted to a private limited company. Since then, we have enjoyed steady growth, expanding our footprint outside of Singapore with offices in the Philippines (2000), Malaysia (2005) and Vietnam (2007). 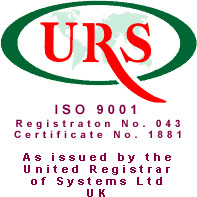 Fully licensed by the Energy Market Authority (EMA) and the Building and Construction Authority (BCA), we have also successfully obtained an ISO 9001 certification. At Litewell, we view any challenges as opportunities for engineering solutions. Our enthusiastic team of professionals are ready to illustrate our commitment to the highest level of service by providing you with a design concept that exceeds your expectations. Our customers, who include local companies and MNCs, tell us the same thing: That we are reliable, timely and effective. From factories and industrial facilities to hospitals and government organisations, we’ve been the firm that leading organisations turn to for engineering, service, and operational support solutions that work. Our engineers are highly-experienced in understanding and meeting the needs of our clients, providing different types of project delivery methods and providing designs on time and within budget. We are also dedicated to providing to our clients the designs and tools they need to ensure that each project proceeds as smoothly, seamlessly and trouble free as possible. So no matter what your needs, be it mechanical and electrical installation for industrial or commercial buildings, you can be assured that Litewell will deliver. Do take your time to browse through our website and find out more about our company.